There are a few parsnips remaining in the garden and one, 2.2 pounds, was prepared for supper. Parsnips cook quickly, by steaming for about 20 minutes. There were garnished with brown sugar and soy sauce. They have so much substance that they make a meal alone. Picture depict the procedure. 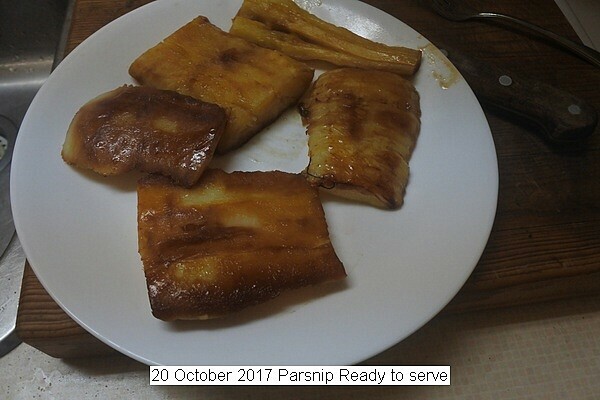 This entry was posted in Uncategorized and tagged 20 October 2017 Parsnip, Cooking Parsnip, Parsnip. Bookmark the permalink.